From the beginning of the 21st century the West’s growing interest in Islam has increasingly focussed on Salafism, an ultra-conservative movement which aspires to emulate the early generations of Muslims. 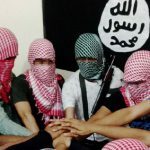 To Western scholars and specialists Salafism holds a double fascination: foremost it is treated as the fountainhead of jihadist ideology; second Salafism’s uncompromising socio-religious doctrine is widely believed to be inimical to integration and community cohesion. 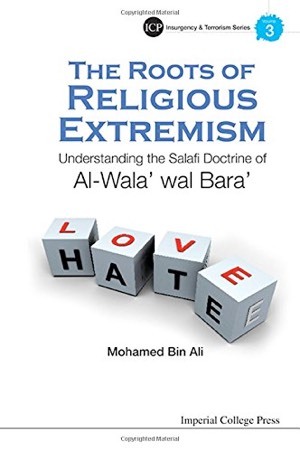 Singaporean scholar and security specialist Mohamed Bin Ali’s: The Roots of Religious Extremism: Understanding the Salafi Doctrine of Al-Wala’ wal Bara’ (Imperial College Press, 2016), ranks as one of the most comprehensive treatments of the subject to date. Packed with exhaustive detail on Salafi history, ideas and scholars and scrupulously taking stock of the near entire body of literature on the subject, Bin Ali produces a stunningly in-depth treatment of the foundational doctrine of Salafi ideology, namely Al-Wala’ wal Bara’ (Loyalty and Disavowal). Al-Wala’ wal Bara’ can be understood as the yardstick by which strict Muslims, and Salafis in particular, set out their socio-political boundaries with a view to fulfilling their religious obligations. At its most reductive level, the doctrine stipulates loving and befriending Muslims whilst shunning and where necessary even hating non-Muslims. Stylistically the book is a difficult read inasmuch as it is written in an awkward, rambling and often repetitive style. It could certainly have benefitted from better editing, particularly in terms of rendering it greater brevity and coherence and overcoming a pattern of repetition. The poor editing though is compensated by scrupulous referencing (which conveniently feature at the bottom of every page) and an extensive bibliography. Despite a stated security interest on the subject (part of the research is based on interviews with detained Jemaah Islamiyah members and Bin Ali has been involved in Singaporean counter-radicalisation programmes), the author has on the whole – with the exception of the conclusion – adopted a scholarly approach to the project. Chapter one is dedicated to the origins of Salafism and here Bin Ali tries to break new ground by tracing the emergence of this tendency to a period well before the era of Ibn Taimiyyah (1263-1328), the scholar and theologian most widely associated with the Salafi creed. The author cites the Ahl al-Hadith (followers of Hadith) movement, which emerged in the eighth century AD to posit the Quran and the Hadith as the exclusive sources of creedal and jurisprudential authority. The author also attempts to establish the origins of the doctrine of Al-Wala’ wal Bara’ (WB), from linguistic, theological and ideological points of view. By exhaustive reference to foundational scholars and ideological trends, the author makes a convincing case of the centrality of WB to the Salafi creed. In short, WB is the doctrine which at a socio-political level enables Salafis to generate an intense form of polarisation, an “us” and “them” mentality which under certain conditions can produce radical and even dangerous behaviour. Chapter two focusses on the Quranic surah of Al-Mumtahanah, the only chapter in the Quran which discusses wala’ and bara’ together. Consequently, Salafis use this Surah to provide theological justification for their ideological positions. The author skilfully showcases the plight of Hatib Bin Abi Balta’ah (a companion of the Prophet Mohammad) who betrayed the early Muslims by covertly communicating with the Quraish in order to save his family. 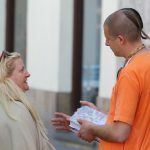 The prophet later saved his life on the grounds of an unproven connection between Hatib’s stated intentions and the putative loyalty residing in his heart. 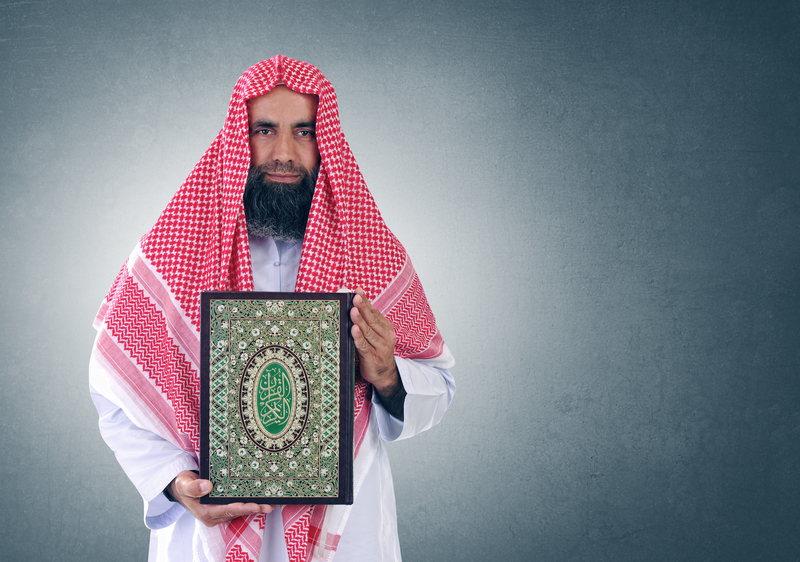 Hatib’s story informs an intra-Salafi debate on what precisely constitutes Kufr (disbelief), with some leading Salafis – notably the Saudi Nasr Bin Hamad Al-Fahad – arguing that transgressive actions alone are indicative of Kufr. In terms of qualifying Kufr, the distinction (or lack thereof) between “action”, “intention” and underlying “belief” is all important, with most Salafis inclined to employ the principle of at-talaazum (moulding) to erase all boundaries between these categories. © Ramzi Hachicho | Dreamstime.com – Presenting Quran. In chapter three Bin Ali tackles the difficult subject of Wahhabism, notably the movement’s intricate connection to Salafism and moreover its profound contribution to the evolution of the WB doctrine. By sketching a brief history of Saudi Arabia, and more specifically by interrogating the symbiotic relationship between the Wahhabi clerical class and the House of Saud, the author demonstrates how WB evolved to accommodate the harsh religious outlook of the former without jeopardising the international political relationships of the latter. It is only in recent decades that the intellectual dishonesty of this position has been challenged by a group of dissident clerics and ideologues who take exception to Saudi Arabia’s alliance with “infidel” states notably the United States. In this respect, and from a strictly Salafi point of view, the House of Saud is blatantly in breach of bara’, i.e. disavowing foreign infidel powers. In chapter four the author analyses the intensity of WB amongst a broad spectrum of Salafi groups and currents. His conclusions appear to be that the most intense disputes and disagreements are often anchored in politics, and specifically the precise position of a nominal Salafi leader or group vis-à-vis the establishment. Moreover, the disputes often relate to bara’ (disavowal), specifically the conditions under which bara’ must be fully applied and the extent to which different Salafi currents distinguish between Kufr (disbelief) and Kuffar (disbelievers) when displaying hatred towards an act or belief (as in the case of the former) or individuals (as in the case of the latter). In the final chapter Bin Ali utilises his preferred typology of Salafism (which he has borrowed from Quintan Wiktorowicz), namely a division into purists, politicos and jihadis, to analyse the writings of influential Salafis from all factions. It is a largely repetitive chapter that appears to argue the obvious, namely that the factional affiliation of the Salafi ideologue will influence his outlook on the nature and application of WB. Arguably the only interesting feature of this chapter is the profile on Ayman Al-Zawahri, the leader of the Al-Qaeda organisation, and the exposition of the jihadi leader’s utilisation of WB to lend theological and jurisprudential legitimacy to the project of global jihad. Bin Ali’s conclusion degenerates into polemics as he sets out to challenge the Salafi position on WB by showcasing the counter-narratives of non-Salafi Muslim leaders and thinkers. The ending does not do sufficient justice to what is a book of exhaustive research and original scholarship.